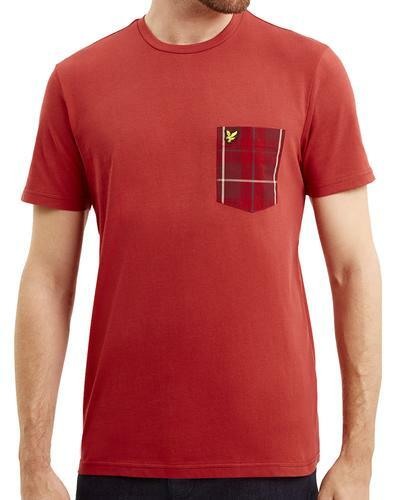 Lambretta men's Northern Soul record print t-shirt. A cool spin on a vintage 45RPM record by Lambretta that incorporates a Northern Soul All-Nighter vibe with tagline and Lambretta signature detail. 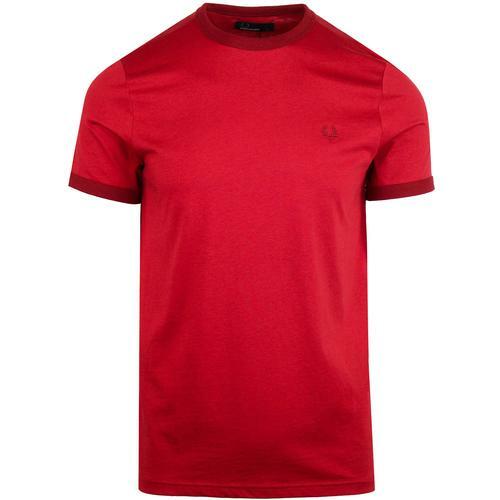 Classic crew neck collar, short sleeve jersey t-shirt finished with mod target sleeve embroidery and Lambretta signature tab to side seam. 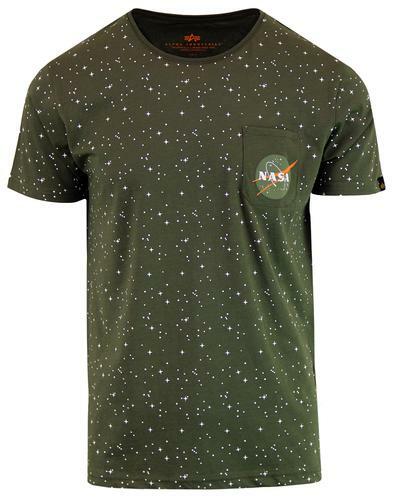 A simple and effective Retro tee that pays homage to Northern Soul and classic vinyl records. 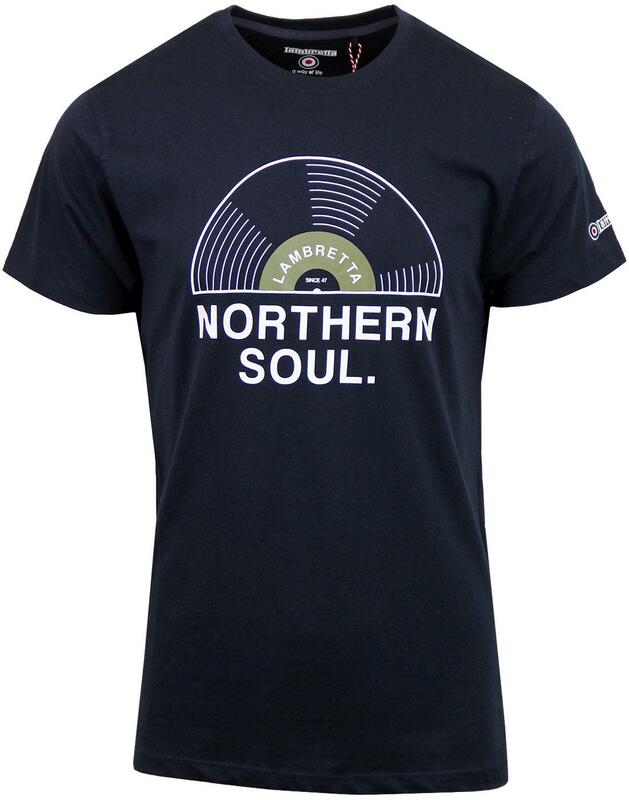 - Lambretta men's Northern Soul record print t-shirt in navy. - Northern Soul tagline sits below half vinyl record print with Lambretta signature. - Contrast grey inner back neck tape. - Lambretta mod target signature embroidery to sleeve. 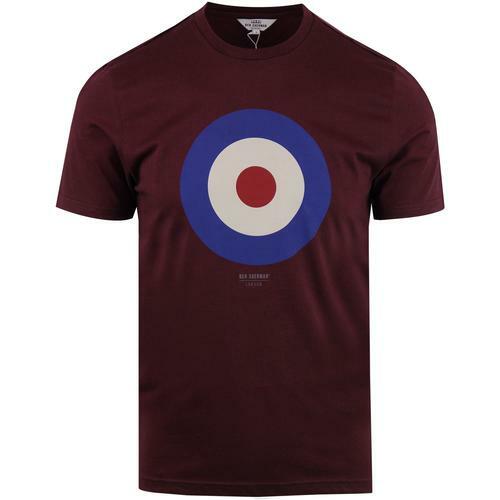 - SKU: SS4055 Northern Soul Records T-shirt.